AFC Bournemouth does its utmost to ensure each supporters' visit to Vitality Stadium is an enjoyable one. Linked below are both the home and away supporter guides for games at Vitality Stadium. In addition, all supporters should note that the confidential text line on a matchday is 07968980580. 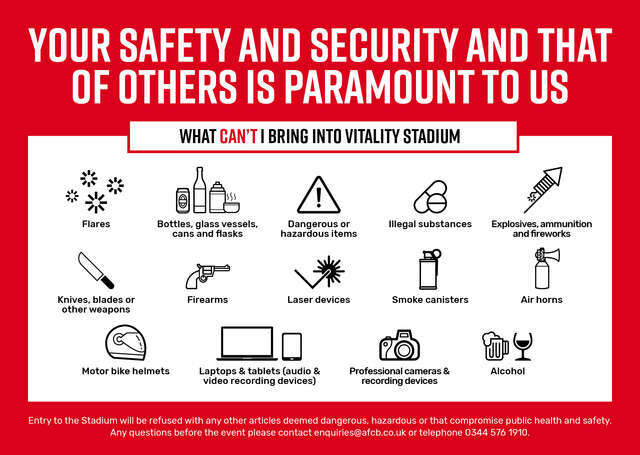 Fans can also find the prohibited items list below.